I had few days off and was determined to find birds to take pictures of. The first day I was out, light snow was falling and was not hearing lot of birds. Those that I heard were far or did not stay for me to take pictures of. 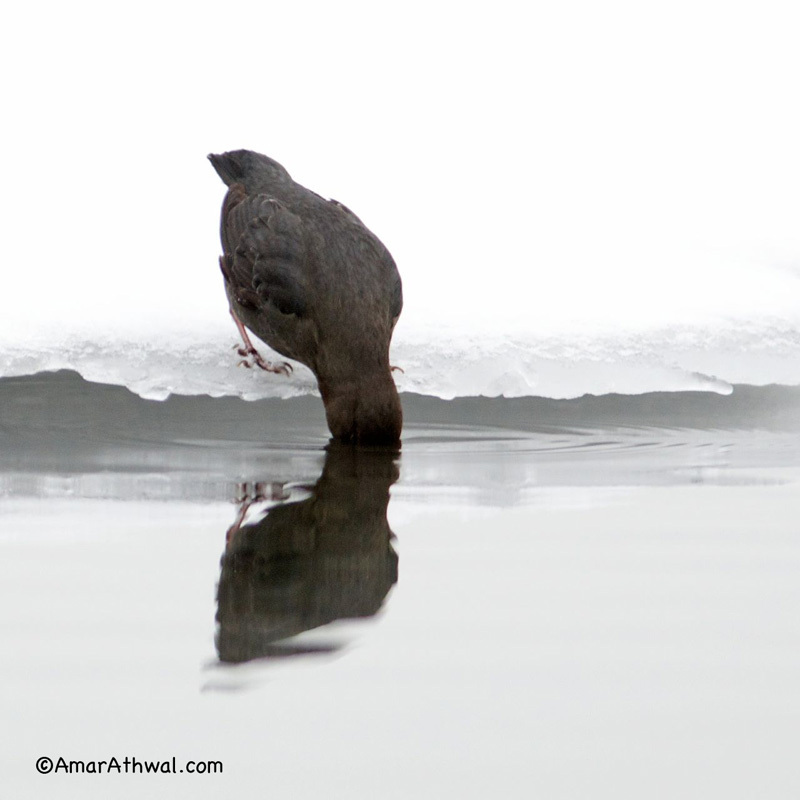 Then I came across a small open pool of water with an American Dipper on the far side, going in and out of the water looking for food. It was comfortable with me across the water and went about it business. The light was not the best, but this also kept the birds surrounding simple under the overcast sky. 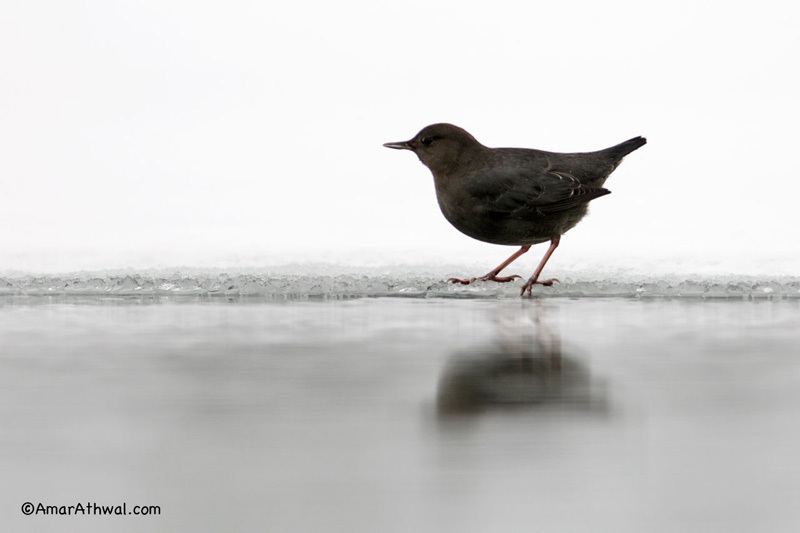 I decided to lie on the snow to keep the lens stable, give the water a smooth look and help pop the dipper even more from the background.